Imagine a school without intrusive bells. Visualize a room that is bright, warm and welcoming. Now picture twenty students, ages 6, 7 and 8, all completely focused on a lesson of their choice. They work undisturbed, at their own pace, for as long as they are engaged. Welcome to Lower Elementary at HCMS. In a multi-age lower elementary Montessori classroom, students learn by leading and through peer collaboration. Motivation is intrinsic and curiosity leads to learning. Students learn grace and courtesy, interact with each other respectfully, value diversity and develop lifetime friendships. Parents, teachers and the school community are welcoming and work in partnership to maximize every child’s education. Classrooms are staffed by two certified teachers who create a supportive, nurturing environment and individualized instruction. 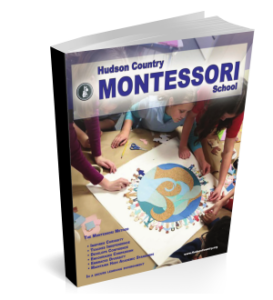 A Hudson education is not only challenging, innovative and relevant; it is developmentally appropriate and builds an extraordinary foundation for future academic success. Hudson teachers, students and families form a dynamic partnership to support eager young students and cultivate a life-long love of learning. Trained teachers work diligently to tailor lessons to each student’s interest, abilities and areas of need. Students choose daily lessons from this prepared environment and set their own schedule of study. 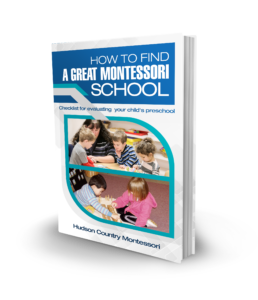 Montessori curriculum and materials compliment developmental abilities and engage young learners in hands-on exploration. Learning is self-directed, continuous and dynamic. Mastery comes from understanding and practice – not through rote or repetition. Students in our lower elementary program thrive in this environment. They are supported, nurtured and challenged to exceed expectations.